Theme: Amalgamation of traditional techniques to advanced studies which redefine BA/BE approach and perception. ConferenceSeries Ltd invites all the participants across the globe to attend the " 7th World Congress on Bioavailability & Bioequivalence: BA/BE Studies Summit,” slated on August 29-31, 2016 at Atlanta. BABE 2016 Conference which is an International Pharma Marketing Industry Conference is a scientific platform to meet fellow key decision makers all-around the Academic Institutions, Healthcare Institutes, Pharmaceutical, Biotech, CROs supply chain, Logistics practitioners making the congress a perfect platform to share experience, foster collaborations through the research talks & presentations to put forward many thought provoking strategies. It's a perfect stage to brainstorm, discover new ideas, search for new skills and a platform to show your capabilities and discoveries to the world. BABE 2016 will be one of the outstanding Bioavailability and Bioequivalence Conferences. In pharmacology, bioavailability is a subcategory of absorption and is the fraction of an administered dose of unchanged drug that reaches the systemic circulation, one of the principal pharmacokinetic properties of drugs. There are many recent advances and factors affecting Bioavailability. It includes Absorption, metabolism and Food effect of Drugs. Physico-chemical factors, first pass metabolism and Energy dependent efflux transporters are also discussed in BA/BE World Congress. Bioavailability is a pharmacokinetic term that describes the rate and extent to which the active drug ingredient is absorbed from a drug product and becomes available at the site of drug action. The bioavailability of a drugsubstance formulated into a pharmaceutical product is fundamental to the goals of dosage form design and essential for the clinical efficacy of the medication. Bioavailability determination are performed by drug manufacturers to ensure that a given drug product will get the therapeutic agent to its site of action in an adequate concentration. Bioavailability is of clinical and regulatory interest. Genetic makeup of a patient importantly influence inherent pharmacokinetic, ultimately giving rise to inter patient variation in drug absorption, distribution, biotransformation, and elimination. ConferenceSeries Ltd invites all the participants across the globe to attend the 7th World Congress on Bioavailability & Bioequivalence: BA/BE Studies Summit August 29-31, 2016, at Atlanta, USA which includes prompt keynote presentations, Oral talks, Poster presentations, Workshops and Exhibitions. 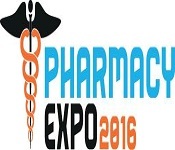 BABE 2016 Conference which is an International Pharma Marketing Industry Conference is a scientific platform to meet fellow key decision makers all-around the Academic Institutions, Healthcare Institutes, Pharmaceutical, Biotech, CROs supply chain, Logistics practitioners making the congress a perfect platform to share experience, foster collaborations through the research talks & presentations to put forward many thought provoking strategies. It's a perfect stage to brainstorm, discover new ideas, search for new skills and a platform to show your capabilities and discoveries to the world. 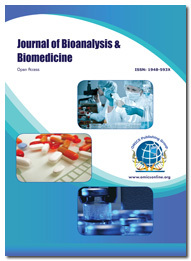 BABE 2016 will be one of the outstanding Bioavailability and Bioequivalence Conferences.The Bioavailability Bioequivalence Research Center and BA/BE global conferences aims to become a regional center of excellence for assuring the safety and efficacy of generic pharmaceutical products for human use. It plays a key role in the drug development period for both new drug products and their generic equivalents. These studies are also important in the post approval period in the presence of certain manufacturing changes. Information in the overall set of data that ensure the availability of safe and effective medicines to patients and practitioners can be discussed in bioavailability meeting. 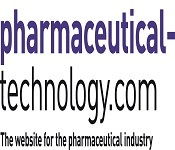 With all the scientific people over the world focused on learning about Pharmaceutical Current and Novel trends and advanced strategies in Pharma Marketing Industry.This is a best globalised opportunity to reach the largest assemblage of participants from the Pharma community. We anticipate participants, renowned speakers and eminent delegates across the globe attending the conference to share their valuable presentation and galvanize the scientific community. BABE 2016 is a 3-day event offering the Exhibition at venue to showcase the new and emerging technologies and Conduct presentations, distribute information, meet with potential scientists, make a splash with new drug developments, and receive fame and recognition. Our services have always met with great achievement in Business Conferencing. World-renowned speakers, the most recent and advanced techniques, developments, and the newest updates are the prominent features of the conference. BABE 2016 welcomes attendees, presenters, and exhibitors from all over the world to Atlanta, USA. We are delighted to invite you all to attend and register for the “7th World Congress on Bioavailability & Bioequivalence: BA/BE Studies Summit” (BABE 2016) which is going to be held during August 29-31, 2016 at Atlanta. The organizing committee is gearing up for an exciting and informative conference program including plenary lectures, symposia, workshops on a variety of topics, poster presentations and various programs for participants from all over the world. We invite you to join us at the BABE 2016, where you will be sure to have a meaningful experience with scholars from around the world. All members of the BABE 2016 organizing committee look forward to meeting you in Atlanta, USA. 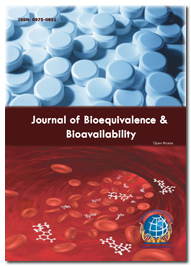 ‘Bioavailability and Bioequivalence’ is an international forum to present and discuss current perspectives in drug research. Bioequivalence Conference provides the scope for opportunities to learn progressed by international scientists and academicians. The Bioavailability Bioequivalence Research Center and BA/BE global conferences aims to become a regional center of excellence for assuring the safety and efficacy of generic pharmaceutical products for human use. 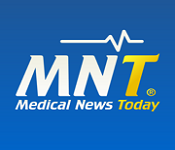 It plays a key role in the drug development period for both new drug products and their generic equivalents. These studies are also important in the post approval period in the presence of certain manufacturing changes. Information in the overall set of data that ensure the availability of safe and effective medicines to patients and practitioners can be discussed in bioavailability meeting. 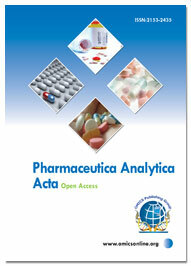 Analyses of global market trends, with data from 2012, estimates for 2013, and projections of compound annual growth rates (CAGRs) through 2018.The North American market is estimated to reach nearly $73 billion in 2011 and is expected to increase at a 7.9% compound annual growth rate to reach nearly $107 billion in 2016. The United States is currently spending almost $250 billion a year for prescription drugs. If drugs were sold in a competitive market, without government-imposed patent monopolies, this might achieve savings up to $200 billion a year.